A capsule wardrobe is a mini wardrobe meant to be mixed and matched; beyond that, the definition is quite broad. How do you go about starting one? 1. Decide on what type of capsule wardrobe you're interested in. - Are you one who is interested in long-standing classics? - Or someone who buys a new wardrobe each season? - Are you interested in specific capsule wardrobes like having one only for work? - Are you brave and willing to pare it down to twelves pieces? - Do you want to loosely follow others but make up your own rules as you go along? 2 Brainstorm what you need for your capsule wardrobe. -Where are you placing importance? What do you care most about? Shoes, well fitting pants or dresses, casual wear? Think about what signature items are important to you. Do you love a classic trench coat or crave fall riding boots? Be ready to invest in quality versions of your own personal staples. 3. Take inventory of your closet. What do you have that you want to keep and what do you want to toss (or give away)? 4. 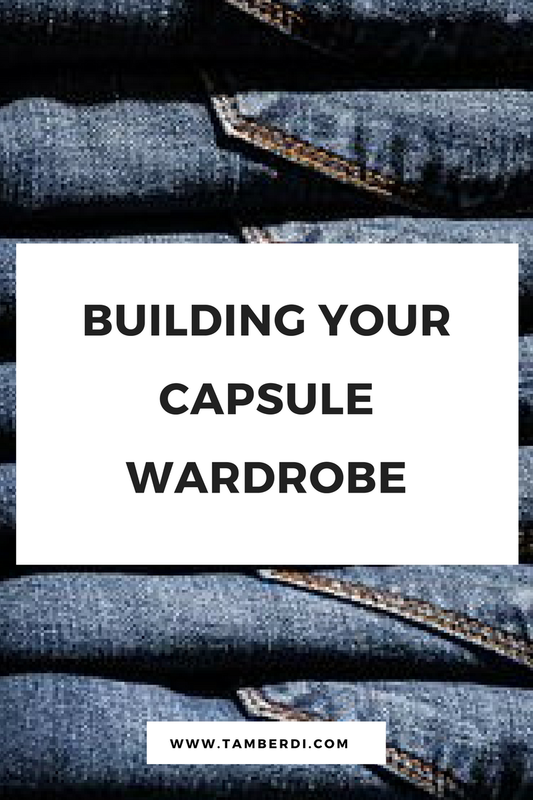 Figure out what is and isn't included in a capsule wardrobe. 5. Put together a shopping plan. The Simply Luxurious Life has tips on creating a capsule wardrobe on a budget. Now that you have an idea of what is and isn't in a capsule wardrobe how do you decide on the number you desire within each type of clothing that you need? Again, it's truly a personal decision. One person may choose 9 shoes, 9 bottoms, 15 tops, 2 dresses and 2 jackets but changes her number depending on what a season needs. Summer can handle more dresses and winter lends itself to more pants. You could even create a few smaller collections with around 10-15 pieces each, splitting it up for weekend and work outfits. Done well, the benefits of a capsule wardrobe include saving time, energy, and money. More on this can be found in one of Tiffany's previous articles here. One tricky aspect of crafting a capsule wardrobe is cultivating the right colors that you won't tire of. Here are a few steps to make sure you're happy with your color selections. 1. Think about the colors you gravitate to and like to wear. Are they warm or cool? This will jumpstart where to look for inspiration. Into-Mind has a great crash course on color theory to spark ideas for you color palette. 2. Find the colors you wear a lot. These are your main colors.Caroline Rector shows how to choose your main colors. 3. Pick a neutral for basics like jackets and pants. You'll want to find a single color that will stay the same and tie your entire wardrobe together. 4. Choose accent colors to add interest. These accent colors really spice things up and add some jazz to what you wear. After going over your options, learning about capsule wardrobes, it's time choose your what stays in your closet. It's a little hard to decide. Which type of capsule wardrobe would you choose for yourself?